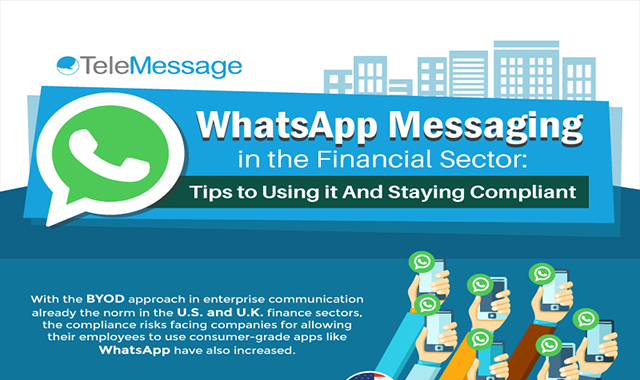 WhatsApp messaging in the financial sector #infographic ~ Visualistan '+g+"
How can companies stay compliant with regulations such as FINRA, MiFID II, and GDPR? Should they ban WhatsApp at work and risk the productivity and efficient communication between their employees? Or should they rather create effective policies and invest in the right technologies to help them stay compliant and achieve effective enterprise communications all at once?